“U.S. Senate Majority Leader Mitch McConnell has agreed to hold the ceremony for Governor Scott’s swearing-in as U.S. Senator from Florida that afternoon,” says Scott's spokesman, John Tupps. Gov. Rick Scott announced Tuesday that he will remain in his current role until governor-elect Ron DeSantis is sworn in. Scott, who has kept his plans secret for weeks, was scheduled to become a U.S. senator five days before his term as governor would end. "Gov. 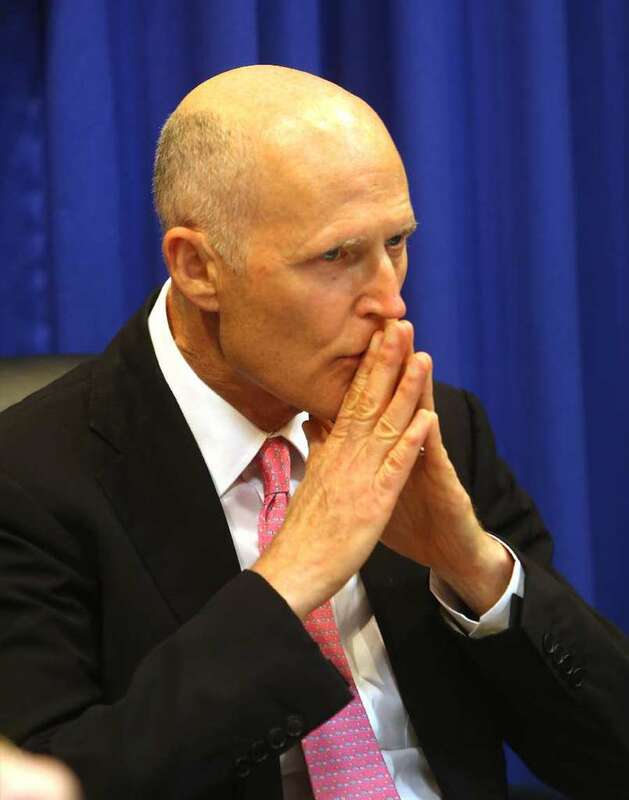 Scott will remain governor until January 8th, 2019," said John Tupps, a spokesman for Scott. "U.S. Senate Majority Leader Mitch McConnell has agreed to hold the ceremony for Governor Scott's swearing-in as U.S. senator from Florida that afternoon." DeSantis will be sworn in Jan. 8. New and re-elected U.S. senators are sworn in Jan. 3. According to the U.S. Constitution, if the senator-elect is not sworn in on that day, the seat remains vacant until he or she is sworn in. Scott's decision means that he'll come to Washington as the most junior incoming senator. He would have been 97th on the seniority list. Seniority, which plays a major role in things like the seating chart on the Senate floor, office space and committee assignments. Tupps said Scott's reason for staying in his role is because he "promised to fight for Florida families every single day of his term." Most Florida officeholders who seek other office are required to put their resignation in writing under the state's resign-to-run law. Lt. Gov. Wayne Mixson, a lawmaker from the Panhandle town of Marianna, held the office until Bob Martinez was sworn in as governor three days later. Mixson, 96, still lives in Tallahassee. The specialty license tag on his Lexus says "1 AND 2" because he held both positions. "It's an awkward position," Mixon said Tuesday. "But I benefited from it." He added that Lopez-Cantera will miss out on getting an official portrait framed and hung in the Capitol, as well as the power to stay at the governor's mansion and make appointments. During his few days in office, Mixon appointed 40 people to local positions left open by Graham. He also held a cabinet meeting and threw a fête for staff at the mansion. "It was a rollickin' good party," Mixon said. "Bob and I got along so well. It truly was an honor."